The largest UTV race event in the world is back! LAUGHLIN, NV – August 13, 2018 – (Motor Sports Newswire) – UTV World Championship owners, The Martelli Brothers, announced today that the UTV World Championship will return to Laughlin, Nevada April 4th-7th, 2019. Once again, top UTV racers from all over North America will descend on the riverside city of Laughlin, NV to test themselves against the best of the best on one of the most challenging courses of the year. Returning champions like Mitch Guthrie Jr., Phil Blurton, RJ Anderson, Branden Sims, Casey Sims, Seth Quintero and more are all slated to battle in the 2019 event. 2018 was a monstrous year for the UTV World Championship, which heads into its fifth year in 2019. The addition of the live stream reached 150,000 viewers worldwide, making it the most visible UTV race in the world. With the help of Method Race Wheels, the UTV World Championship brought back the Laughlin Leap and added a new layer of excitement to the event. The events social media impact alone brought in one million dollars of earned digital media value and the television show set for September 30th at 2PM ET / 12pm PT will air via ABC World of X Games. With the sport at an all-time high, next year’s event will be one of the top off-road race events in 2019. The UTV World Championship has enjoyed four years of uninterrupted national television coverage with 2018 coverage appearing on ABC’s World of X-Games on September 30th at 2PM ET / 12pm PT. With multiple hours of national programming, as well as exposure all over the globe through various industry print, online publications and social media, the UTV World Championship has boosted UTV racers into the mainstream. 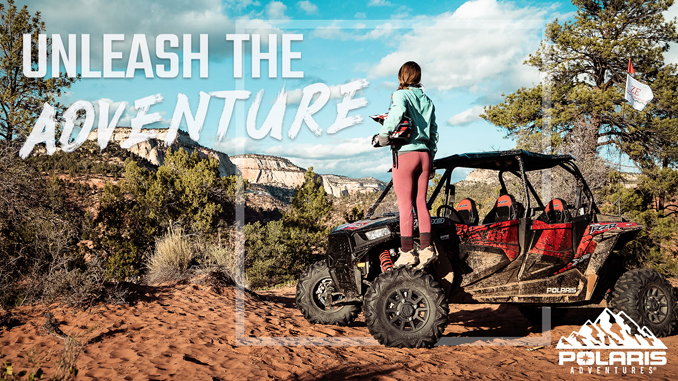 In 2019, the UTV World Championship is planning increased spectator and enthusiast interaction, including trail rides to pair with the Poker Run which allows fans and racers to take their vehicles through the UTV World Championship race course. Also returning in 2019 will be the inclusion of the Youth Production Race for competitors ages 6-12. This race has given the future of the sport an opportunity to shine on the industries biggest stage. Of course the massive Short Course & Desert Races will be the highlight of the weekend. The UTV World Championship has become the go-to event for companies looking to showcase their products in front of the industries best racers, teams, fans and enthusiasts. In place for 2019 is the return of the industries largest UTV Tech & Contingency, where hundreds of the sports top brands are able to showcase their products and mingle within the festive atmosphere. The UTV Pit Crew Challenge and Laughlin Leap will also return to round out the schedule of events. More announcements and events are yet to be announced. The UTV World Championship returns to Laughlin, NV April 4th-7th, 2019. Come bring your family and friends to race, spectate, shop, and party! The UTV World Championship is the world’s biggest UTV race and takes place every year in beautiful Laughlin, Nevada. The UTV World Championship draws the best UTV racers in the world to battle in both short course and desert races to decide who is the best UTV racer on the planet! The race features an ultra exciting side-by-side land rush start and intense door to door racing all the way until the checkered flag. The UTV World Championship has the biggest TV, online, and school media coverage in the sport of UTV racing. Mad Media (www.madmedia.com) is a San Diego based marketing and creative agency, with in-house film and television production. We craft authentic, culturally engaging brand messages, and deliver them across print, web, photography, and film platforms. Mad Media has been leading the online content revolution since 1995 producing major commercial, television, online content and viral film projects such as The Gymkhana Series and XP1K Series.